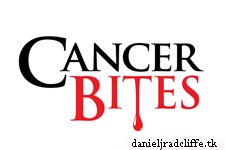 This Halloween, Cancer Bites has announced their winners today of the Fright Night Awards 2012 I posted earlier about. And... I can announce to you all that Daniel Radcliffe and The Woman in Black are winners. Congrats to them!